A pile of vegetation after a resident improved their defensible space Photograph courtesy of University of Nevada Cooperative Extension. What is open pile burning? Pile burning refers to the burning of cut and stacked vegetation. Pile burns can be a useful method for reducing brush fire fuels, bush regeneration, property maintenance and other agricultural activities. However, poorly-managed pile burns can pose a brush fire risk and endanger lives, property and the environment. What are examples of items that can be burned and cannot be burned? Dry and dead vegetation from the property is the only appropriate use for pile burning. Trash, garbage, household or building materials such as plastics, wooden pallets or cardboard boxes are prohibited for pile burning. Who is open pile burning available to? Residents who reside in the unincorporated areas of Washoe County can pile burn. The district generally allows open burning in spring and fall depending on several factors, including but not limited to: wind, temperature and condition of vegetation. We have a permitting process in place for pile burning. Other factors are air quality and inversions. The Washoe County Health District does not permit open burning between Nov. 1 and April 1. Is pile burning permitted right now? No. Pile burning is currently prohibited in Washoe County due to hot or warm temperatures, dry conditions, an extreme increase in the average fuel loads of wildland fuels this season due to the heavy winter of 2017 and the wet spring this year. Additionally, the warmer seasons tend to have more gusty winds, which also increases the fire hazard. Why is open pile burning available only some of the time? We make the decisions to allow open burning based on a number of factors, including the amount of moisture, wind conditions and fire index. Each day is different. Fire safety is our number one priority and we will not allow pile burning if conditions are not appropriate. As an alternative to pile burning, we strongly encourage residents to use other means of vegetation disposal such a composting green waste or taking vegetation to a waste facility prior to undertaking a pile burn. We hosted a green waste day this past June, and we anticipate hosting a weekend of green waste recycle days this coming fall, at multiple locations. We will announce the dates and locations soon. How can residents find out if open pile burning is available? Check out the Truckee Meadows Fire Protection District website at www.TMFPD.us. We also make public announcements through social media and our local media partners. Follow us on Twitter and Facebook. How can residents get a burning permit? Contact us at 775-326-6000. During open burning periods, we also make the permit available online. When open pile burning is available, are there any tips for residents to properly burn? When open burning is permitted, you must have a permit from the fire district, and you must call us each day you want to undertake a burn so you can confirm if it is an approved burn day or not. Generally speaking, however, make the pile wide and long rather than high, 3 feet by 3 feet at most. It should not resemble a bonfire. Stay away from power lines, and make sure you choose a space that is open, away from trees, tall vegetation, structures and fences. Maintain a clear area between piles and any other combustible material. Have a water source close by. We always encourage you to call our fire prevention officers at 775-326-6000 with any questions on how to burn properly. Pile burning is just one of many ways to remove vegetation from a property. Be sure to check with your local fire department or district to learn if pile burning is allowed or if there are any other services available to help remove the green waste from your property. Jamie Roice-Gomes is the manager and outreach coordinator with University of Nevada Cooperative Extension’s Living with Fire Program. She earned her Bachelor of Science in Wildlife Ecology and Conservation and a Master of Arts in Interactive Environmental Journalism. She was a public relations assistant for Conrad Communications, a public information officer intern at the Nevada Department of Conservation & Natural Resources, and a Biological Science Technician at the USDA-Agriculture Research Service. 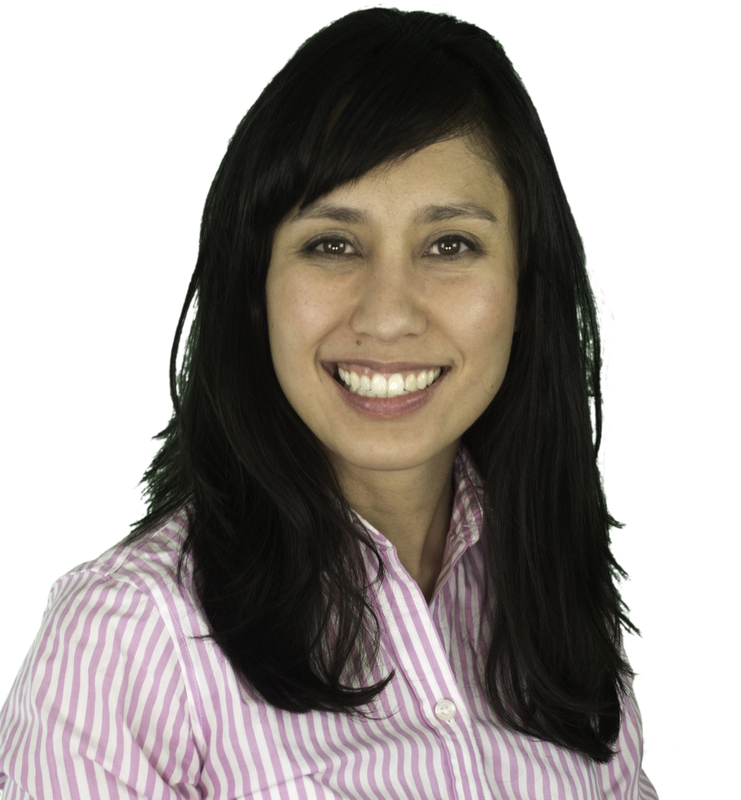 She also enjoys volleyball, the Great Basin Desert and spending time with family. Contact Jamie at 775-336-0261 or roicej@unce.unr.edu. As July 4th approaches, it got me thinking of wildfire preparedness. Growing up in Nevada and celebrating Independence Day was about enjoying barbequed food with friends and family and settling down in lawn chairs to enjoy a professional fireworks display in the evening sky. However my husband’s upbringing in Oregon proved to be much different. Newcomers, visitors and even some residents don’t realize that fireworks are illegal in the majority of Nevada. Besides Clark County (legal to possess “safe and sane” fireworks) , Esmeralda County (allowed one mile out of any town), Lander County, (permitted outside of the townships) and tribal lands (can be purchased there, but once the fireworks leave tribal lands, they can and will be confiscated) fireworks are illegal to possess and use. Fireworks don’t bode well in our high fire-prone areas. The 2008 Ridgecrest Fire, started by children playing with fireworks, destroyed four homes. Fine fuels like cheatgrass are plentiful in our region and are dried out at this time of the year. Cheatgrass is an example of an invasive grass that is highly flammable. It’s advised to remove this flammable grass. Learn how to remove cheatgrass safely and properly . As we celebrate Independence Day, let this be a reminder for locals, visitors and newcomers that fireworks are illegal in most Nevada counties, to please leave the fireworks displays up to the professionals and that residents should prepare for wildfire. 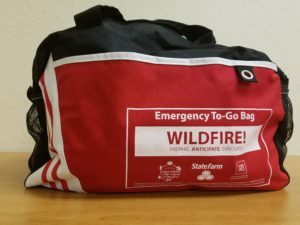 Learn how to prepare for wildfire as reviewed in the June 2018 Living With Fire blog. It’s estimated that 90% of the homes destroyed during a wildfire are due to wind-blown embers. Many don’t realize that wind-blown embers can travel up to a mile ahead of a wildfire. When they land on, in or around something easily ignitable, the home can be vulnerable to ignition and complete destruction. Taking the proper precautions to ensure that a home is ember prepared can reduce the threat of wildfire ignition to a home. Some items to consider are: Replace your wood shake roof with a metal, composite or tile roof and keep rain gutters free of dead plant material such as dried leaves or pine needles. Defensible space is the area between your home and an oncoming wildfire where the vegetation has been managed to reduce the risk of wildfire and where firefighters can safely defend your home. For example, the first five feet from a home is an important area to keep noncombustible in order to reduce the risk of ignition from embers. Homeowners can use herbaceous plants like lawn, ground cover and flowers; rocks, concrete, brick and pavers; and should keep it free of woodpiles, dead plant material and flammable shrubs and debris. It’s important to know how to safely and effectively evacuate during an emergency especially if residents need to evacuate quickly. One important element is that everyone in the family should know the best escape route out of the home and know two routes out of each room. If a fire destroyed your home, could you remember the estimated value and date of purchase for all your possessions for insurance purposes? Yeah, me neither! A home inventory is important as it provides an accurate record of a homeowner’s possessions, helps process insurance claims faster and helps one purchase the correct amount of insurance. The inventory is an important tool to document losses from a fire but also from other causes such as flooding, burglary and vandalism. Residents can inventory their belonging using a smart phone app, or an inventory sheet. Consider creating videos of your possessions as well. Goats grazing in a field can be an effective method of weed control. Photo courtesy of Goat Grazers. Spring is one of my favorite seasons – the daylight increases and the temperature gets warmer, and that means that I can spend more time outdoors! On the other hand, spring also means that I need to clear the sprouting weeds from my yard before they get out of hand. Just yesterday I spent an hour picking weeds from my front yard. The area of concern for my property is my backyard, which consists of a steep slope that makes the weeds difficult to access. Now, I could just let these weeds go, but that produces lots of fuels, or things to burn! Removing these weeds is especially important because we know that wildfire travels faster on a slope. What animals are used for grazing? Horses, cattle, sheep and goats can be used for grazing. Each of them has a set of benefits and drawbacks during grazing. The size of the animal and the type of grazing can affect what plants they target. Horses tend to clip grasses off at the ground because they have upper and lower sets of teeth. They can also cause more soil compaction. Cattle are heavy animals that consume a large amount of grass, but don’t clip vegetation as low. Sheep and goats are more gentle, and are better at reducing fuels on steeper landscapes. What do goats and sheep or other grazing animals eat? Goats are browsers that prefer leafy vegetation from shrubs and trees. This can be a risk when the target vegetation is located near ornamental vegetation. However, they can eat a large range of grasses and are very well-adapted to Nevada’s temperature extremes and rugged terrain. Sheep will graze cheatgrass, a flammable non-native plant found around many of Nevada’s at-risk communities. Horses and cattle will mainly graze cheatgrass while it’s green and in the fall after the seeds drop. Goats will graze a variety of plants, including plants with thorns. Will they eat my dead weeds? Yes, goats and sheep will eat your dead weeds, depending on their species. However, both species will also eat plants that you may not want them to eat or that they should not eat. Halogeton, death camus, larkspur and certain species of vetch are common weeds that can kill grazing animals. Grazing cheatgrass and other plants when they are dead or dormant will likely require protein supplementation to ensure proper nutrition of the animals. Knowing what plants are in the target area is critical to accomplishing beneficial grazing while ensuring animal health. When should these animals eat the weeds? Flammable annuals provide the best forage quality and are best controlled in the early spring (March-April) and in the fall after seeds drop. Some species, like cheatgrass, are difficult for animals to graze when mature due to the presence of stiff, barbed seeds that can injure the animals and make it more difficult to digest. Grazing should occur in at least two consecutive years before reduction in the weed seeds will be observed. Heavier grazing can have a multi-year effect on reducing fuels. How are these animals contained? Goats are infamous for being escape artists. Portable electric fencing is the best containment material for goats. An electrified perimeter or cross fence can be charged by a portable generator or battery. Guard dog species, such as Anatolian (shepherds) or Great Pyrenees, need to be included in the management herd to protect the goats from coyotes, mountain lions and other natural predators. Sheep require the same management and are less prone to sneaking under or over fences. They can also be herded effectively in Wildland Urban-Interface areas. Cattle and horses require heavier and more permanent fences if used in smaller areas. How would I prevent them from eating my flowers? Fencing important plants off with an electric fence is the best way to prevent goats and sheep from eating them. Flowers and other important plants should be fenced off in a 5-foot radius to ensure that grazing animals can’t reach through the fence to eat your prized flowers. It is a risk to have these animals in landscaped yards, and using them in larger lots and adjacent to communities is preferable to alleviate risks of grazing non-target ornamental vegetation. There are a few local companies who will bring their grazing animals to your property. I’ll be looking into this and I urge others to do the same, as it is a great way to reduce the threat of wildfire! A few days ago I received a call from a rural Nevadan resident. He had recently moved to Nevada from Utah and had questions about creating a Community Wildfire Protection Plan (CWPP). Immediately, I knew these important and frequently asked questions could be answered at our Nevada Network of Fire Adapted Communities 4th Annual Conference. However, let’s first take a step back and define a CWPP and discuss the benefits of creating and updating this document. For those who don’t know, a CWPP describes the wildfire hazards and outlines mitigation measures for a defined area or community. It allows the community to work collaboratively with government agencies in the process. Opportunity to increase community capacity by working together. Relationships are formed between communities, fire departments or other emergency responders and resource management agencies tasked with hazardous fuels reduction. Opportunity to establish a locally appropriate definition and boundary for the Wildland-Urban Interface. Fuels-reduction projects that are identified in a CWPP receive priority for funding and implementation by federal and state agencies. It may streamline federal planning process for fuels reduction work. For example, if a federal agency is planning a fuel-reduction project to implement a recommendation in a CWPP that lies within the interface and is located no farther than 1 ½ miles from the community boundary, the federal agency does not need to analyze other alternatives. The U.S. Forest Service and Bureau of Land Management are to spend not less than 50 percent of the funds allocated for hazardous fuel-reduction projects in the interface as defined in a CWPP. Not only is it beneficial to have a CWPP, but an updated CWPP is also important because it keeps the community’s specific hazards current, involves the community’s stake holders in the planning process, and includes the updated conditions in the area such as overgrown vegetation or work that has already been completed in the community. If you are interested in learning how to update or create a CWPP for your community join us at The Nevada Network of Fire Adapted Communities 4th Annual Conference where speakers will address this and how to utilize the CWPP template on the Living With Fire website. You can bet I’ll be there absorbing this important information! The conference is Monday, March 12 from 8:00 am- 5:00 pm at the Atlantis Casino Resort Spa in Reno. Registration is free, but space is limited.